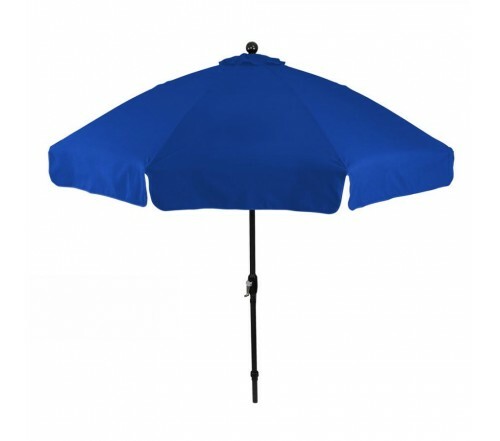 Personalized royal blue 9 ft x 8 panel patio umbrellas are popular choice for business marketing because it possess a convictional charm, which can trigger many minds. 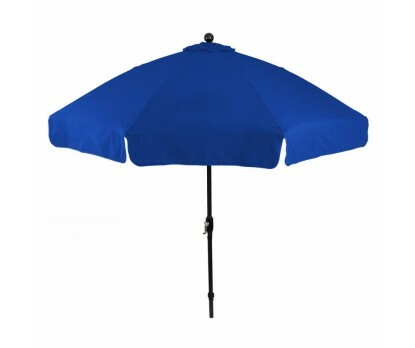 This umbrella can beautify the landscape and trigger new peal of interest in your business. This umbrella is used on beachfronts, highways and packed market places to invite attention of targeted customers. Features – 9 ft x 8 panel, black fiberglass ribs and black powder coated aluminum frame all supporting a huge royal blue colored olefin (fade resistant) color with valance. Wind vent. Manual Opening with crank. Imprint area - 21" W x 21" H.
Product Size: 55" x 4 1/2" x 5 1/2"